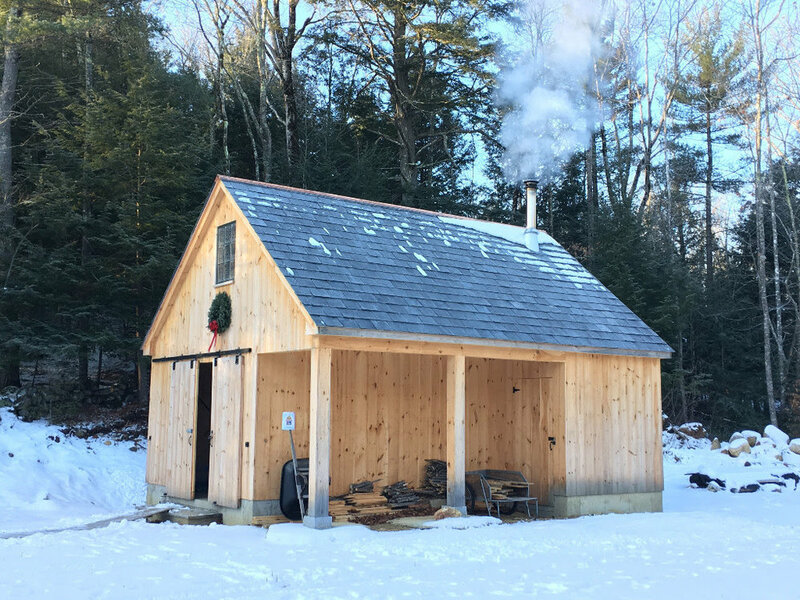 Winter has arrived at Church of the Woods, bringing us near the wood stove to reflect on the year past, as we watch and wait for the new birth that is to come. For Kairos Earth and Church of the Woods, it has been a year of thriving and growth, even as it has been a year of tumult around the world. 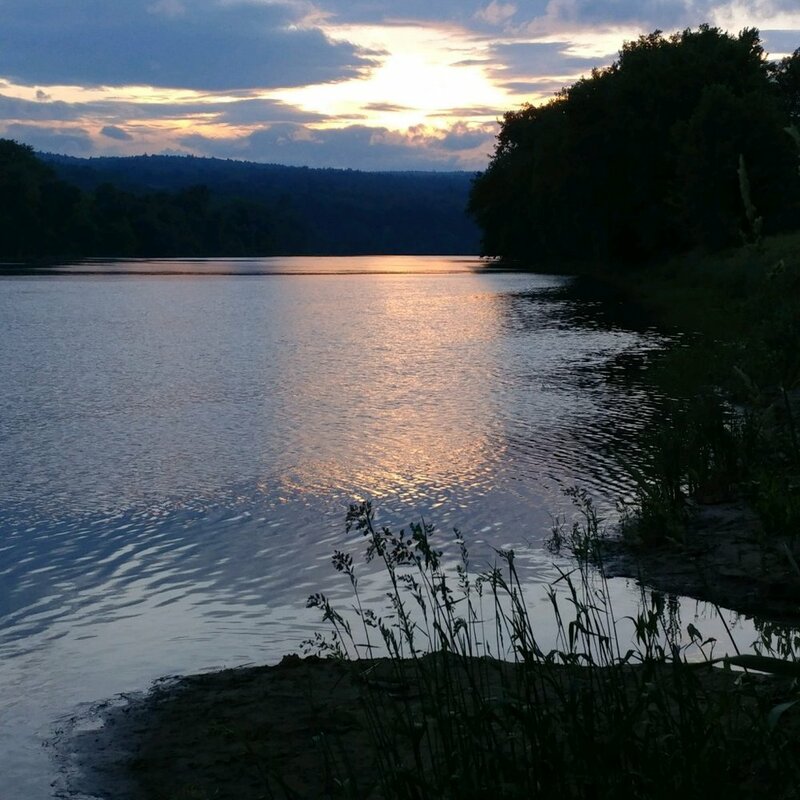 We coordinated the 410-mile River of Life Pilgrimage — a huge undertaking that engaged hundreds of people in paddling, planning, hosting, feeding, celebrating, and cheering the length of the Connecticut River. We laid the foundation for our Common Ground initiative to catalyze a movement of people who live our belief that Nature is an expression of the sacred and that living and acting accordingly is essential to the well-being of individuals, society, and the world. And Church of the Woods has thrived, with a growing and faithful local congregation and many more supporters, members, and like-minded partners across the country. I am so grateful for your friendship, partnership, and support. Thank you for being part of this growing movement! Together, we are preparing a way in the wilderness. Together, we are renewing understanding of the natural world as a bearer of the sacred and restoring this awareness as a foundation of both religious practice and practical action to conserve the Earth. This season of Advent — the four weeks of preparation leading to Christmas — is a time of waiting and watching for the coming again of Christ. Yet, as we wait for the birth of Jesus, we also know that Christ is already and always here. Over the next several days, I will be sharing four brief reflections that help me understand this mystery of the Incarnation. At the core of Christian understanding is the belief that “The Word became flesh and dwelt among us.” (John 1:14) That is, we believe that God is transcendent mystery vastly beyond us, and yet also dwells in physical form in the world, always within and among us. At Church of the Woods, we follow the way of Jesus as the human incarnation of the Word (the Logos, the Christ) through whom all things come into being and through whose self-emptying all things are restored to wholeness (that is, are healed or saved, restored in love to oneness). Through our belief that all creation participates in the incarnate nature of God, we understand Christ as filling both human and more-than-only human form. We speak of this in terms of Light, Life, and Love — three expressions that manifest the divine energy in physical being. Science proclaims the beginning of all that is (so far as we know) in the great and mysterious bursting forth of light we call the Big Bang — light pouring forth from an inconceivable single point. Through a series of miraculous transformations which we comprehend through the natural laws of mathematics, physics, and chemistry, this light is transformed to be all the energy and all the matter that exists. This light has become, among everything else, the very rock on which we stand — crystallized starlight, transformed through heaven and earth. This light is a divine miracle and the first incarnation of the Word, present in all matter and energy, forming all space and all time. All life is a miracle. In ways that science does not yet understand, about 3.8 billion years ago life emerged from inert matter and energy to fill the Earth with extraordinary abundance of forms and ways. Beautiful and mysterious beyond reckoning, the development of life is guided by processes we understand through biology, evolution, and ecology. In the beginning, divine energy took physical form as light and matter – then inert light and matter became alive in a miracle and a manifestation of the divine. The Word became flesh and lives among us — literally. Life itself is the second incarnation of God, present in all living beings. Even in the darkest days, we are surrounded by life. As we draw near to our celebration of the birth of Jesus — “the life that is the light for all people” — I invite you to reflect on where you find light and life. Where is this miracle in your life, today? Come, Love, to this world tonight. Alleluia! Come, Love, to the world tonight! * At Church of the Woods this year, we’ve been singing this lovely song as we gather in our little barn, huddled around the altar — and the wood stove. Come, Love — we who are in sore need of divine light and life and love implore you. Come! Science falls quiet in the realm of love, which is beyond the ken of dispassionate, distanced, objective observation and analysis. Science may be able to tell us which parts of the brain light up and what hormones are at play in loving relationships, but these biochemical understandings are far from being explanations of the true nature and mystery of love. Religious understanding instead employs poetry, music, metaphor, ritual, and story to understand and pass on the ways of life rooted in love. If the first incarnation of energy and matter is understood through mathematics and physical laws, and the second living incarnation is understood by biological and ecological processes, the third incarnation – love – is understood as intimate relationship. The Christian understanding of the three-fold God, three expressions of one God who each dwell and dance in the others in an unceasing flow of mutual love, is the paradigm of this divine relationship of love. Jesus embodies this in human form as the Christ whose way we seek to follow. As we celebrate the mystery of starlight showing the way, of shepherds and animals gathering round, and of the birth of a little baby, let us rejoice in the coming of Love into the world once more, tonight. Come, Love, to the world tonight!